ONE OF SEVEN BRIERCLIFFE BROTHERS. Mrs. Smith Stuttard, of Talbot-street, Briercliffe, has received official intimation that her husband, Pte. Smith Stuttard, of the East Lancashires, was wounded on November 16th, and he is now posted as missing. Pte. 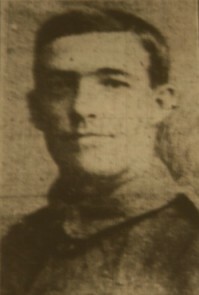 Stuttard, who has five brothers actively engaged in fighting, and one – Ben – discharged with an amputated arm, only went up with his group last June 26th, and left for France early in October. He was reported wounded on November 16th, since which date nothing has been heard of him. It is hoped that at the worst he is a prisoner in Germany. His wife and parents would thankfully receive any information which would lead to ascertaining what has become of him. Mrs. S Stuttard, of 16, Talbot-st, Harle Syke, has received official information that her husband, Pte. Smith Stuttard, who had previously been reported as missing, was killed in action on November 6, 1916. Pte. Stuttard was 35 years old, and leaves a wife but no children. He joined the forces on June 26th 1916, and was placed in the 3rd East Lancashires. He went out to France in Ocrtober, and was reported missing in NOvember. He was one of seven brothers, all of whom have answered the call to arms. Five of them are still serving, and one, Benj. Stuttard, has been discharged after having an arm amputated. Pte. Smith Stuttard was previously a weaver at Walshaw Mill.